Here are the latest news on the MDR Update. We are happy with the performance of the production MDR. We are also very excited that your guns will be in your hands soon. I appreciate you sticking with us during the MDR launch. There have been some questions about MDR specifications and performance that we haven’t officially addressed yet. And, I wanted to cover some of those in this letter. I also thought it would be a great idea for you, our valued customers, to ask us questions that you have about the MDR. Or, if there is something you want to watch us do with the MDR let us know and we will try to accommodate it. Once a week we will choose one of your questions and post a video demonstration of it. Please ask your questions in this facebook posting (any questions outside of this posting will not be selected). The first question I will address in this letter is how our MDR production is going. The MDR production is going very well, most everything is on target but we are scrambling to catch up a few parts that are lagging behind. If we are not able to catch those parts up, then it could add up to three additional weeks to the production completion date. This is not a definitive delay yet but a possibility that I wanted to make everyone aware of, my team is working hard to catch those parts up to avoid a delay. I will post mid-month update if we determine there will be a definitive delay. Several of you have asked about the recent increase in the advertised weight of the MDR rifle. 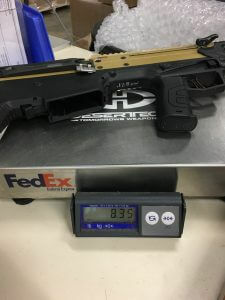 The previous advertised weight is what our prototype rifles weighed. 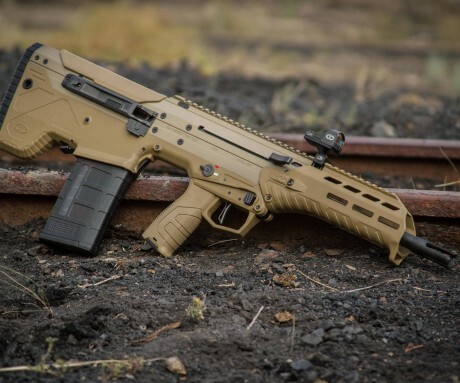 During development we needed to increase the amount of steel parts used in the MDR to increase the durability and dependability of the rifles. We also increased the barrel diameter slightly to reduce issues typically associated with overheating of barrels. 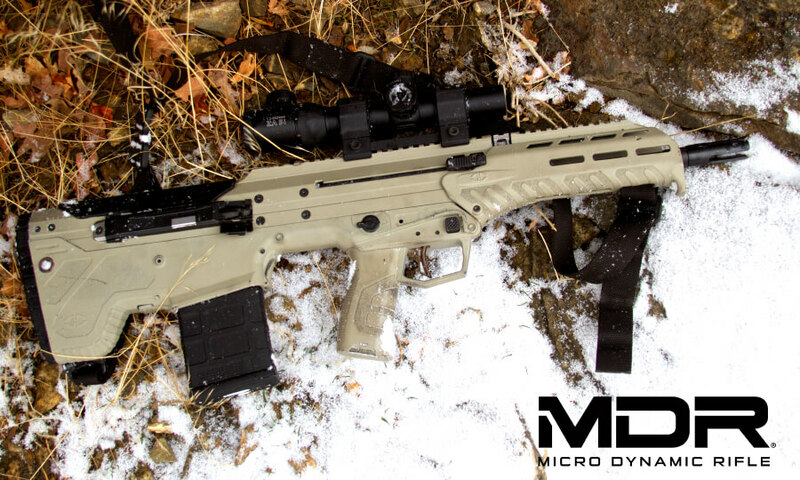 The trigger pull weight on production MDR’s is measuring at 4.8 lbs on average. The MDR utilizes our proprietary “overpressure gas control system”. We developed this system to minimize risk of injury/death to a shooter during a catastrophic failure event of their MDR rifle. Catastrophic failures are caused when a live round is fired through an obstructed bore. The most severe form of bore obstruction is when a projectile gets lodged inside the barrel and then a live round is fired from behind it. We simulated this condition by hammering projectiles just forward of the chambers of rifles and firing standard full power cartridge from behind them. 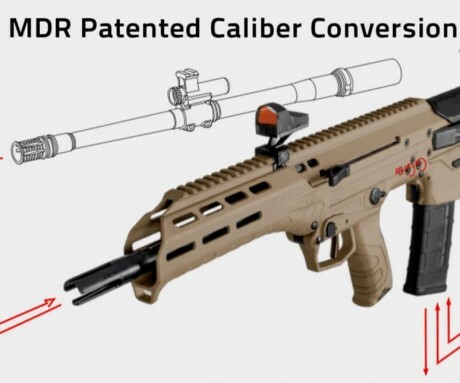 We did this to the MDR as well as two other rifles in order to establish a baseline for what the industry has deemed an acceptable safety standard. Understand this is not a knock on the other rifles we tested, we are simulating the worst expected failure that a rifle can sustain. We only illustrate the sample rifles to show what our “overpressure gas control system” has been able to do compared to rifles without a similar system. Please, read the legal disclaimer below prior to watching the video! Bore obstruction testing is very dangerous and should not be duplicated because it causes uncontrollable and unpredictable pressure spikes that can explode a firearm and injure or kill the user or bystanders. 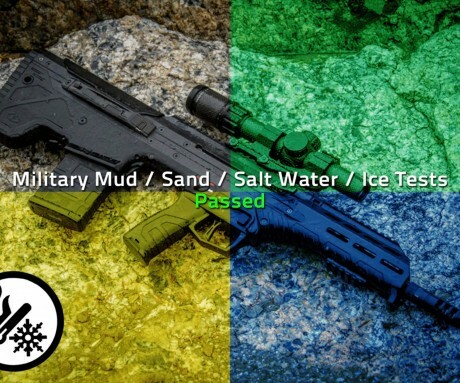 Desert Tech assumes no responsibility for the actions or injuries that could result for anyone who attempts this test. Desert Tech discloses that the MDR’s “overpressure gas control system” was designed to substantially reduce weapon fragmentation during a catastrophic failure and in turn minimize potential injury to the shooter or bystanders, and in DT’s internal testing the “overpressure gas control system” accomplished this goal, however due to the hazardous nature and unpredictable pressures that occur during a catastrophic failure Desert Tech cannot guarantee a persons safety and/or guarantee that the same results illustrated in this video will occur. I again appreciate all of you that support us in our efforts and believe in our products. Now is the chance for you to see the MDR do what you haven’t been able to see yet. It will be a fun time for my marketing team too. I’m sure many of you will ask when you are going to be getting your MDR’s, and my answer to that will be to check the delivery schedule on our website or check with your dealer. If there will be any changes I will keep you alerted to any production updates as they come.